Yesterday my little 19 months old kid was " playing " and basically touching whatever he wanted ( all kinds of different joystick and buttons combinations ) And an ERROR message appears now when I receive GAME OVER or sometimes at any point of the game . Is like if everything gets frozen , no coin chute working etc ... And the only cure is doing ESC to the main game page for selecting a game. Please , what the fu.ck has he touched ? the blast city became self aware and demands the flouro tube be restored to icy/warm white and to have legit CPS2 board installed. Could be a bios file issue? I would try deleting the file for that rom located in the nvram folder. Mame generates a file with the same romname in NVRAM folder to save some game settings. Like Raiden fighters "999" counter and other game related memory settings. rugdoctor wrote: the blast city became self aware and demands the flouro tube be restored to icy/warm white and to have legit CPS2 board installed. I'm very bad with computers , I'm a farmer ! My wife wanted it like this ( in theory is her cabinet ) because it even matches the living room decoration . Also she wanted a multi game board , and I couldn't find any better than this thing at 15khz. arcadista wrote: I would try deleting the file for that rom located in the nvram folder. Would this be like deleting the whole Sfz2a Rom , and download another from Internet to put it again in ? No, there is no need to download the rom again, just this nvram file. 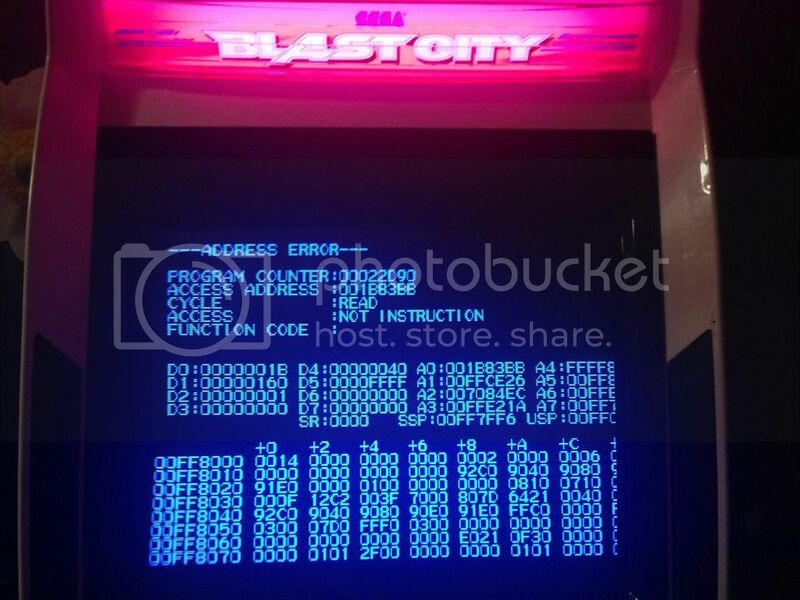 Exit the frontend (your game list) and go to the setup screen, that blue screen which looks like an old MsDOS screen. Select the file manager (mc) option. It will open the midnight commander, a file manager very much like the old norton commander for MsDOS. In the left side of the screen, navigate between system directories to find the directory "Home" which has another named "arcade" inside which also has another called "nvram"
Once you are in the "home/arcade/nvram" look for a file named as the romfile, I don't remember the exact name for your case, but must be something easy to find out and select it using the shift key, it's going to change it's color to let you know it is selected. Then press the key to delete it, if I remeber well enough, it's F8. Exit midnight commander by pressing F10 and launch your fronte d again to test if it worked. I can't guarantee it's going to solve your problem, but I think it will and you will not erase anything vital for the system. So I suggest you give it a try. arcadista wrote: No, there is no need to download the rom again, just this nvram file.